Recover My Files is the best file recovery software for recovering deleted files emptied from Recycle Bin, removed by a virus, or lost due to formatting a hard drive and unexpected system errors. Unfortunately, Recover My Files only supports Windows. It doesn't run on Mac OS X. So if you want to recover lost files on Mac, a Recover My Files for Mac alternative is required. 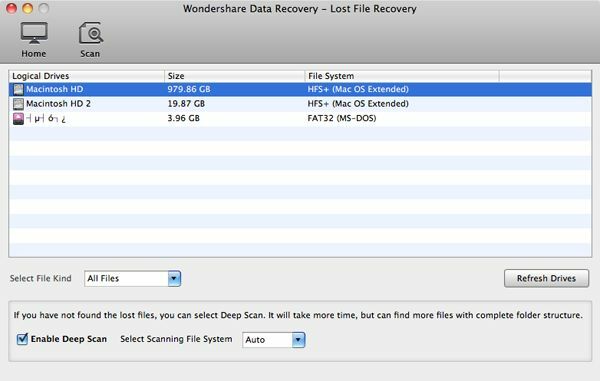 Here I humbly recommend WS Data Recovery for Mac. 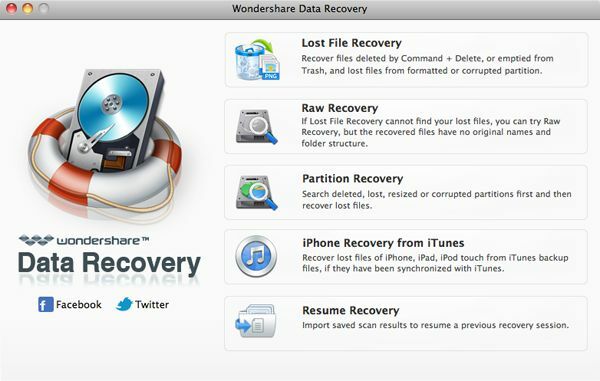 It's an easy-to-use yet powerful data recovery software to recover deleted files from all sorts of devices, including Mac hard drives, external hard drives, digital camera cards, iPod/iPhone/iPad, memory card, etc. It gets you covered from overall data loss danger like accidental deletion, partition formatting, virus infection, improper operation, and other unknown reasons. 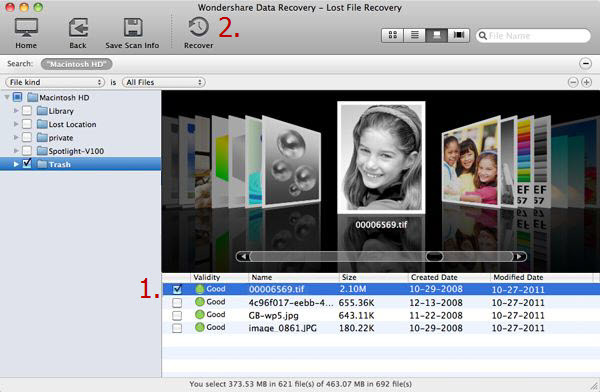 It's the best Recover My Files for Mac alternative on the market. Also want a Recover My Files alternative for PC? Get it here. After downloading and installing Recover My Files for Mac alternative, start it from the installation folder (usually the Applications folder) and follow the steps below. Lost File Recovery is for regular data loss scenarios. 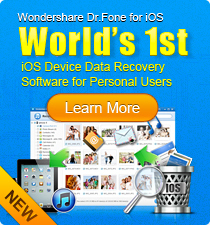 It can effectively recover files deleted by Command+Delete, emptied from Trash, or formatted by mistake. If this mode doesn't work for you, Raw Recovery will scan deleted files more completely but costs more time. Simply choose the drive from which you want to recover lost files. If necessary, specify the file type to Images, Audio, Video, Documents, etc. to recover specific files quickly. By default, all files will be scanned for recovery. You'll see the scan result in minutes. Then use the folder tree, preview and search bar to find your files quickly. To recover found files, check the checkbox before the files and click the Recover button on top. You can save the recovered files to the selected folder (not the drive/partition containing your lost files). Download the best Recover My Files for Mac equivalent now and follow the video tutorial below to get back your deleted files.